A crash has fully closed on carriageway of the A1M and is causing long delays near Peterborough today, Monday. Emergency services were called to the northbound carriageway of the A1M between Sawtry and Stilton at around 1pm today. 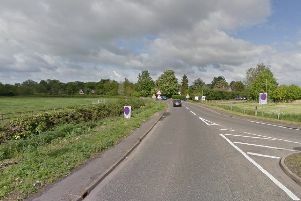 A very serious crash between a lorry and a car has taken place. Three lanes were initially closed but all four lanes have now had to be closed and there are more than two miles of queuing traffic. Highways England said delays are building in the area and recommended motorists find an alternative route. Motorists are to follow the hollow square diversion.